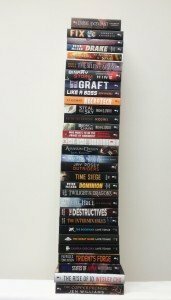 Well, 2016 was a busy old year for us, what with publishing many wonderful, wonderful books, continuing to take over the world, offering human sacrifices to the gods, that kind of thing. It seems our sacrifices haven’t gone unnoticed as we have found our books placed in a whole load of ‘best of 2016’ lists, which has, quite honestly, made out 2017 thus far. Hello, wonderful future slaves people! 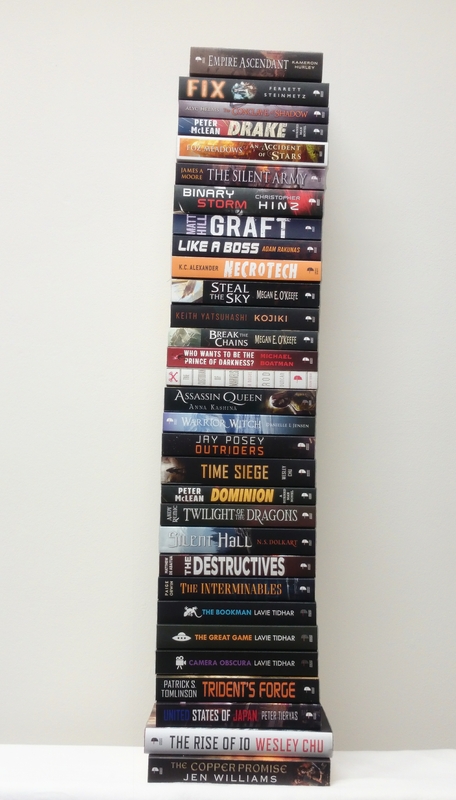 Do you fancy winning yourself a copy of one of our November books? Well you can, if you head on over to GoodReads. We have giveaways listed for both Peter McLean‘s Dominion and Christopher Hinz‘s Binary Storm, both of which will run until October 26. It’s been a long wait for more stories in the world of Liege-Killer, but Christopher Hinz‘ Binary Storm is here at last! Well, almost… You have to wait until November to read it all, but especially to brighten your day and get you in the binary mood, here are the first three chapters, free and exclusive on us. Tuesday has arrived again, and with it another insight into the minds of our authors: Talk Tuesday To Us (sometimes under the coercive influence of torture, or in today’s case, an ice cream scoop). 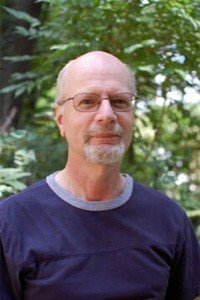 This week we crack open the cranium of Christopher Hinz, author of the fast-paced, action filled SF Binary Storm, sequel to his 1980’s classic Liege-Killer. With the scoop in hand, we can proceed. 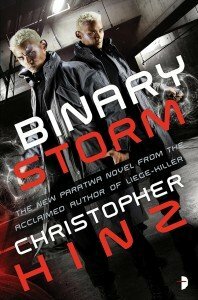 Author of 80s cult classic Liege-Killer and its forthcoming prequel Binary Storm Christopher Hinz will be heading over to Reddit tomorrow (June 8) to take part in an author AMA. For those who don’t know what an AMA is, it stands for Ask Me Anything and is a chance for fans to ask their favourite authors absolutely anything they’d like…within reason, obviously. Christopher will be online tomorrow (June 8) from 6-8pm EST. Head on over to r/books to post your questions for him. As you may have seen over on SF Signal, we’ve signed Christopher Hinz, author of cult 80’s classic Liege-killer, for a new novel. Binary Storm will be a prequel to the Paratwa series, set for release in late 2016.